Despite being one of the biggest media franchises in the world, Power Rangers has, surprisingly, not really had much impact in the world of gaming. There have been a handful of Power Rangers games over the years, of course, but you have to go all the way back to 1994 to find a console game anyone will consider worth being remembered. 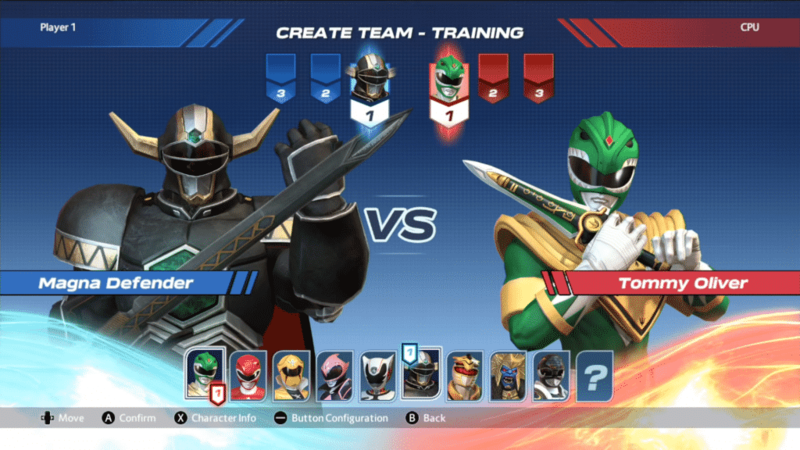 So, it’s not without some significance that we arrive at N-Way’s Power Rangers: Battle for the Grid. 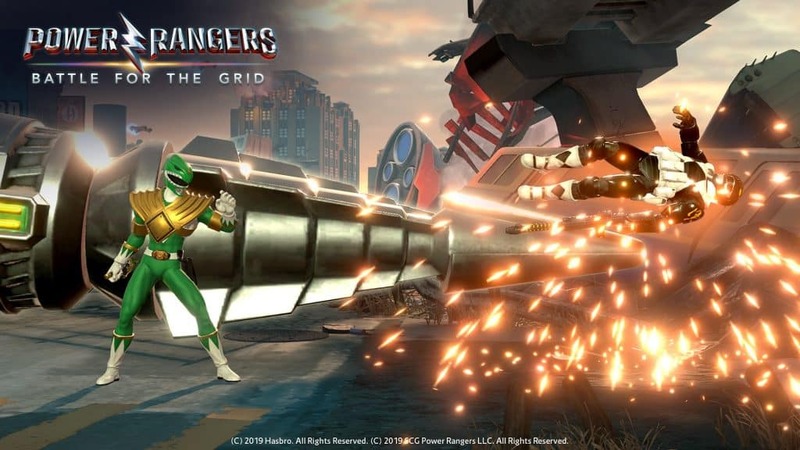 Following on from their work on the mobile fighting game Power Rangers Legacy Wars (which you might be aware of thanks to the frankly insane short film below tying into their crossover with Capcom’s Street Fighter), Battle for the Grid is a spiritual successor, but with many differences. Legacy Wars’ fighting is – by necessity – a fairly basic affair and the game is otherwise wrapped in familliar free-to-play mobile game trappings. 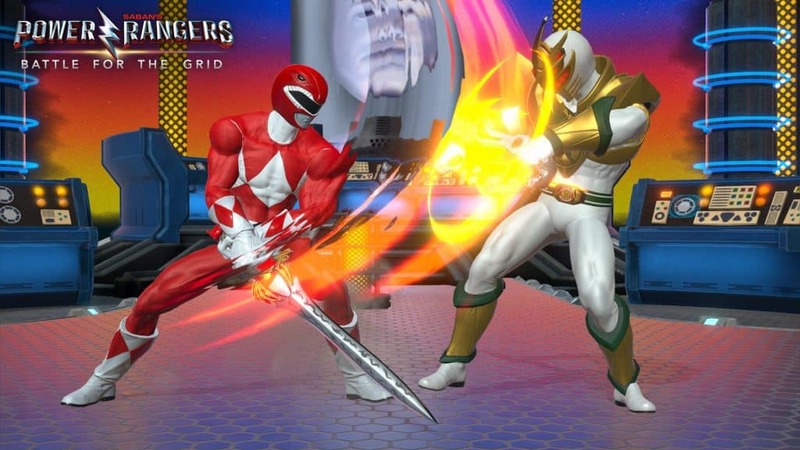 Battle for the Grid, however, is a full and proper 2D fighting game – if a somewhat simplified one. Rather than being full of complicated special moves and combos, each of the four main controller buttons represents a different kind of attack and there are a smattering of variations available based on directional input. That makes the movelist closer to a game like Super Smash Bros. than Mortal Kombat but there’s an acceptable level of variety to make the fighting feel decent in play. By far, the best feature that Battle for the Grid introduces is the use of Megazords as ultimate attacks. Once summoned, the classic Mighty Morphin’ Megazord, Dragonzord or an enlarged Goldar will interrupt the battle by using their overwhelming scale advantage to attack your opponent with building-size feet, swords and tails. It’s a genuinely inventive use of the Power Rangers mythos to contribute something actually novel to the genre. The Megazord, DragonZord or a giant Goldar taking shots at your opponent mid-battle never really gets old. Unfortunately, the decision to ape games like Dragon Ball FighterZ and make each match into a 3vs3 fight immediately reveals one of the game’s biggest flaws. There just aren’t enough characters in this game. Despite having 25 years worth of characters to fall back on, the game has just 9 characters at launch. That means that the 7-round arcade mode is not only filled with mirror matches – but reuses the same characters as opponents throughout. With each match taking a good few minutes, constantly fighting the same characters again and again gets quite tiresome very quickly. Making every match into 3v3 is a fatal mistake when combined with such a tiny roster of characters. 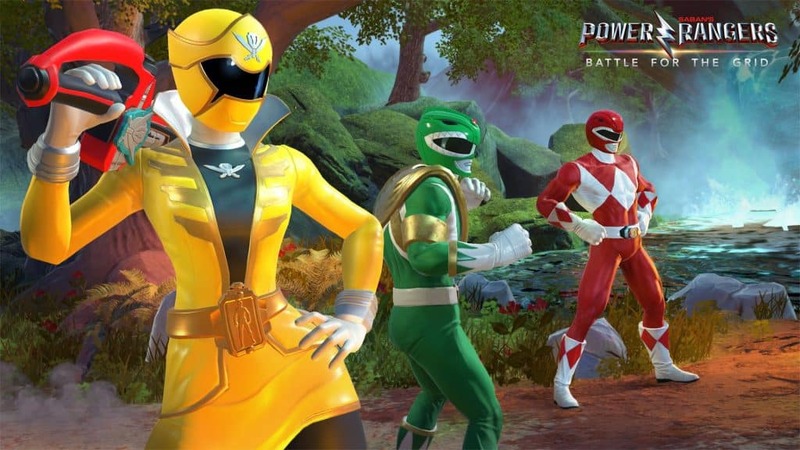 The mobile game, Power Rangers Legacy Wars, has dozens of characters available within it – though as it is a mobile game, the majority are individual micro-transactions and all are locked behind various other pressures to get you to spend money. Battle for the Grid meanwhile offers a ‘Season 1’ pass promising just three additional characters for almost the same price as the base game. A worrying sign that although the console game may well expand its ranks, it certainly won’t come cheap. Meanwhile, the choice of characters for the initial roster is a pretty bizarre grab bag. The original Mighty Morphin’ Red and Green Rangers are unsurprising choices, but the rest of the characters are primarily either alternate-universe characters from the recent Mighty Morphin’ Power Rangers comics or truly random choices such as the Magna Defender from Lost Galaxy or Kat Manx’s morphed form that appears in just one episode of SPD. Given that the Megazords available are only taken from the Mighty Morphin’ series, it’s honestly just an odd decision to not simply include all 7 Mighty Morphin’ Rangers. The characters featured in the game are a genuinely odd group – particularly the inclusion of characters from the comics with little explanation for those who won’t be familiar with them. The amount of gameplay is almost as limited as the character roster. Training and arcade modes are mostly as you’d expect – though the ‘story’ offered through the arcade mode is just embarrassingly bad. As well as local multiplayer there are ‘casual’ and ‘ranked’ online modes. For some reason, the ranked mode starts off with three identical matches against the AI before it pits you against real people. In my experience with it – during the week of the game’s launch – I was entirely unable to even find players to match against for the casual mode. On the ranked mode, even with my level starting off at 0, the lowest ranked player I got matched with was 35 and out of 5 consecutive ranked matches I played two of the same people twice. All of this suggests that the game is either already struggling for players or the matchmaking is fundamentally flawed. Neither are positive signs. Particularly as the game supports cross-play between the Nintendo Switch, Xbox One and PC, so the net should have been cast pretty wide. In my online matches, the gameplay was pretty smooth. There were one or two instances of framerate drops but otherwise it was as robust as local multiplayer. With one notable exception: players will quite happily quit a match they’re about to lose but the game will mark that as a loss against you as well. This unfairness has a significant impact on the value of the ranked gameplay – and considering that’s the majority of what the game has to offer, that’s a very significant blow. On a final note, while the game is visually ok on the Xbox One X, there’s nothing particularly interesting to the game’s art style. The realistic character designs are let down by how cheap the rest of the game looks around them. The heavy use of comic-book art throughout the game’s interface just highlights how much better the game could look if it embraced that style throughout. As one of the only recognisable Power Rangers locations, this Command Centre stage is visually pretty embarrassing. Zordon in particular looks terrible, even against the standards of 1990s special effects. The stages are as unremarkable to look at as they are unfamiliar as Power Rangers locations for the most part. The music, meanwhile, is bland and inoffensive. 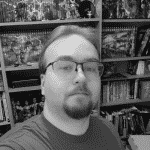 But, considering the legacy of Ron Wasserman’s aggressively iconic Power Rangers theme, the fact it’s only ever teased at is even more inexcusable than the lack of any other classic Power Rangers themes or songs. Overall the game and developer both show their mobile and low-budget roots quite heavily. The game has a decent core, but the released product could be easily mistaken for a proof-of-concept demo. Strange decisions compound the general lack of polish to just make it an odd game more than anything else. If N-Way can double down to deliver additional features, characters and polish in the future, there’s the potential for a solid mid-tier fighting game here. It’ll never feature in EVO, but it could – eventually – potentially justify a full-price release with a lot more time, effort and content. For just under £17 today, though, there isn’t a lot to recommend as a single package right now. Even the most die-hard Power Rangers fans will burn through the game’s positives pretty quickly.